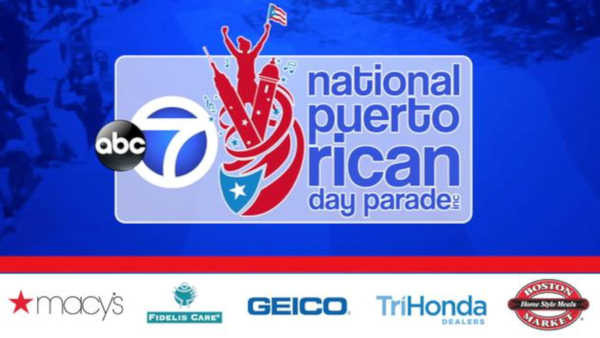 NEW YORK (WABC) -- The 59th Annual National Puerto Rican Day Parade is took place on Fifth Avenue this Sunday, and you can watch it live on Channel 7 and abc7ny.com! Part one of ABC7's coverage of the 2016 National Puerto Rican Day Parade. ABC7 Coverage of the 2016 National Puerto Rican Day Parade. Josh Einiger has the latest from Orlando. Watch ABC7 coverage of the 2016 Puerto Rican Day Parade. Watch our coverage of the 2016 National Puerto Rican Day Parade. Watch moments from the 2016 National Puerto Rican Day Parade. Watch excerpts from the 2016 National Puerto Rican Day Parade. "I am very proud to announce this new partnership, as it signals yet another turning point in the history of the National Puerto Rican Day Parade," said Lorraine Cortes-Vazquez, Chairperson of the Parade. "While the Parade reaches millions of people of all ages and cultural backgrounds in person on Fifth Avenue, live television and online broadcasts enable us to reach the entire Puerto Rican diaspora around the globe. I welcome Channel 7 to our family, and I thank the company for joining us at this very exciting moment in the history and for its continued support of the Puerto Rican and Latino communities." In addition to coverage of the Emmy award-nominated parade, WABC-TV's Eyewitness News will provided special coverage of parade-related cultural events leading to the June 12th broadcast and help raise awareness of community events year round through its community calendar. "Channel 7 is proud to bring New York's biggest, most colorful and exciting parade to even more people than ever before," said Dave Davis, President and General Manager of WABC-TV, "We have a long standing relationship with the Puerto Rican community and we couldn't be more grateful to celebrate with them." Eyewitness News anchors Joe Torres, David Novarro and reporter Carolina Leid will lead Channel 7's coverage of this year's event. For more information about the Parade, visit www.nprdpinc.org.